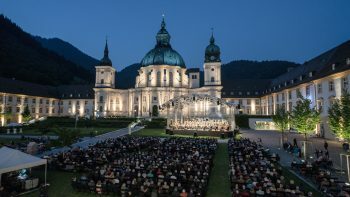 In 2019 the Richard Strauss Festival welcomes the renowned Radio Symphony Orchestra Prague as "Orchestra in Residence" of the Open Air Concerts in the Ettal Abbey. At the concert on the 28th of June it will not only perform compositions by Richard Strauss under the baton of its artistic director Alexander Liebreich, but also a great work by Antonín Dvořák, one of the most important Czech composers. With the famous tone poems Richard Strauss created immortal masterpieces and testimonies of his great art. In "Till Eulenspiegels lustige Streiche" ("Till Eulenspiegel's merry pranks") he set a musical monument to the cheerful and chaotic rogue Till Eulenspiegel. 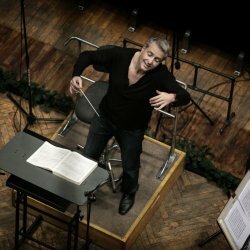 Alexander Liebreich succeeded in creating a true sensation at the following programme item: Since the Lithuanian soprano Asmik Grigorian with her fascinating interpretation of Strauss' Salome became a world star overnight at the Salzburg Festival 2018, her Name is found almost anywhere all over the world. 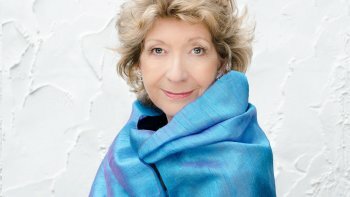 Now she is making her festival debut with orchestral songs by Richard Strauss. Antonín Dvořák composed his 8th Symphony in the countryside and, between visits to the pub and walks, created a great poetic work with exceptionally beautiful melodies, full of harmonic refinement and ingenuity, as if made for a midsummer night's dream. Bus transfer GAP - Ettal - GAP and Munich - Ettal - Munich can be booked separately. We kindly ask for your understanding that it is not allowed to bring your own drinks and to consume them at the open air concerts - food is allowed. Alexander Liebreichbecame Chief Conductor and Artistic Director of the Prague Radio Symphony Orchestra in September 2018. He also took over as Artistic Director of the Richard Strauss Festival in Garmisch-Partenkirchen in 2018 which led to him being elected head of the Richard-Strauss-Society, following Wolfgang Sawallisch and Brigitte Fassbaender in this position. Alexander held the position of Artistic Director and Principal Conductor of the Munich Chamber Orchestra from 2006 – 2016. Their first collaborative CD, featuring works by Joseph Haydn and Isang Yun, was released to great critical acclaim in January 2008. The recent release “Requiem“ by Tigran Mansurian, with RIAS Kammerchor on the label ECM Classics received nominations for the Grammy Award 2018 and the ICMA Award 2018 in the category “Contemporary Music”. As a guest conductor, Alexander has worked with many prestigious orchestras including the Concertgebouw Orchestra, BBC Symphony Orchestra, Radio Symphony Orchestra Berlin, Orquestra Sinfônica do Estado de São Paulo, St. Petersburg Symphony Orchestra, Yomiuri Nippon Symphony Orchestra, NHK Symphony Orchestra and Tonhalle Orchestra Zürich. Recent and future engagements include debuts with the Japan Philharmonic Orchestra, Singapore Symphony Orchestra, Orquesta de Valencia and Mahler Chamber Orchestra. He regularly performs with distinguished soloists such as Lisa Batiashvili, Krystian Zimerman, Frank Peter Zimmermann, Alban Gerhardt, Leila Josefowicz, and Isabelle Faust. 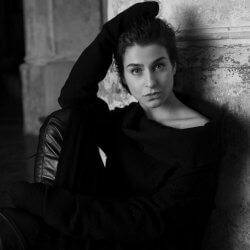 Asmik GrigorianLithuanian soprano Asmik Grigorian was born in Vilnius, into a family of musicians. She studied at the Lithuanian Music and Theatre Academy and started her operatic career whilst still a student. She was a founding member of Vilnius City Opera and has twice been awarded the Golden Stage Cross (the highest award for singers in Lithuania), in 2005 for her debut as Violetta in “La Traviata“ and in 2010 for her performance as Mrs. Lovett in “Sweeney Todd”. In 2016, she was winner of the Young Female Singer prize at the International Opera Awards. Asmik Grigorian appears regularly at opera houses including Teatro dell’Opera di Roma, Oper Köln, Hamburgische Staatsoper, Theater an der Wien, Mariinsky and Mikhailovsky Theatres, Royal Swedish Opera, Royal Concertgebouw, Staatstheater Wiesbaden, Vlaamse Opera, Teatro del Liceu Barcelona, Komische Oper Berlin and at the Latvian National Opera, Riga. This season and beyond she performs the title roles in “Manon Lescaut” at the Frankfurt Opera, “Madama Butterfly” at the Wiener Staatsoper, “Norma” at the Theater an der Wien, and “Rusalka” in a new production by Christof Loy at Teatro Real Madrid. She continues her relationship with the Salzburg festival singing Shostakovich’s “Symphony No. 14”, Romeo Castellucci’s “Salome”, and Chysothemis in Warlikowski’s “Elektra”, followed by “The Flying Dutchman” in a new production by Tcherniakov at the Bayreuth Festival. She performs Shostakovich’s “Symphony No. 14”with the Ensemble Resonanz at the Elbphilharmonie, and makes her Paris Opera debut in “Jenufa”, and her Palais Garnier debut in “Queen of Spades”. Further debuts include her much anticipated debut at the Metropolitan Opera, her Royal Opera House debut in “Jenufa”, and her debut at La Scala in Graham Vick’s new production of “Die tote Stadt” conducted by Alan Gilbert. 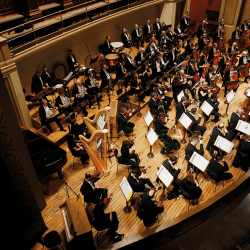 Prague Radio Symphony OrchestraThe Prague Radio Symphony Orchestra is one of the most eminent Czech orchestra’s today. From the 2018–2019 season the role of Chief Conductor and Artistic Director is taken by the leading German conductor Alexander Liebreich. At present its Principal Guest Conductor is Marek Šedivý. In recent years the orchestra has worked with top Czech and foreign conductors and soloists, such as Petr Altrichter, Radek Baborák Jiří Bělohlávek, Tomáš Hanus, Jakub Hrůša, Tomáš Netopil, Stephan Asbury, John Axelrod, Ion Marin, Wayne Marshall, Michał Nesterowicz, Jean-Efflam Bavouzet, Gautier Capuçon, Sergey Khachatryan, Christian Lindberg, István Várdai, Elīna Garanča, Renée Fleming, Juan Diego Flórez, Dmitri Hvorostovsky, Jonas Kaufmann, Vilém Veverka and Alina Pogostkina. Its Czech collaborators include such names as Jan Bartoš, Tomáš Jamník, Ivo Kahánek, Jan Mráček, Adam Plachetka and Lukáš Vondráček. The orchestra regularly commissions and performs pieces by eminent contemporary composers (Jan Ryant Dřízal, Jan Klusák and Miroslav Srnka). The orchestra is a regular guest at international venues throughout Europe and in Japan. The PRSO’s recording work includes a Janáček trilogy conducted by Tomáš Netopil. Two of those releases were named Editor’s Choice by the prestigious magazine Gramophone. Also the first complete recordings of Miloslav Kabeláč’s eight symphonies or the recording of all of Martinů’s piano concertos. The orchestra also recorded in a world premiere Dvořák’s Alfred and an album showcasing Vienna State Opera soloist Adam Plachetka.